Alexis Sanchez hit his 20th Premier League goal of the season as Arsenal saw off Southampton to keep their Premier League top-four hopes alive. The Gunners secured a vital 2-0 win in this game in hand to leapfrog Manchester United into fifth and now sit three points adrift of fourth-placed Manchester City. Sanchez struck the opener on the hour mark at St Mary's before Olivier Giroud came off the bench to make sure of the points with a close-range header. Under-fire Arsenal boss Arsene Wenger has constantly reiterated his side cannot put a foot wrong in their remaining games, and they were solid enough to take home victory from the south coast to keep them in the hunt for Champions League qualification. Arsenal went into this match needing a win but also having to address woeful away form that had seen them take two points from a possible 24 on the road against current top-half teams. They were not at their best here but in truth they did not need to be - this was nothing like the 4-0 thrashing they dished out in the corresponding fixture last term. 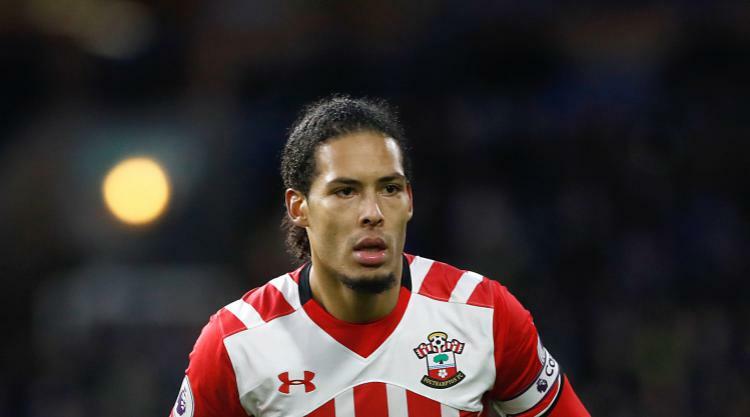 Southampton appear to be coasting to the season's end, with reported pressure on manager Claude Puel likely to ramp up after another lacklustre display. Saints had their moments but looked short of ideas in attack, where out-of-sorts forward Manolo Gabbiadini again drew a blank. The game started with nothing of the tempo and chances from Sunday's opening exchanges from Arsenal's weekend win over Manchester United. But it was the visitors who had the first real chance as Aaron Ramsey sent an effort wide of goal following good work from Alex Oxlade-Chamberlain. The former Saints youngster was enjoying a bright spell down the right but there were no further opportunities of note in the opening half-hour. That was until the Arsenal three-man defence conspired to play both Dusan Tadic and Gabbiadini onside, with the latter seeing an effort well saved by Petr Cech. Wenger was forced into a change as the impressive Oxlade-Chamberlain went off with what appeared to be a hamstring issue - Hector Bellerin on in his place. Gabbiadini then sent a contentious free-kick wide of Cech's goal before Arsenal's skipper for the night had to be at this best to tip a Nathan Redmond drive over the bar. Both teams started the second half looking to get on the front foot but it took until the hour for Sanchez to open the scoring for Arsenal. The Chile forward picked up a pass inside the box from Mesut Ozil and left both Maya Yoshida and Jack Stephens on the ground as he cut back inside and finished well. The second came in the closing stages as substitute Giroud made certain of the points, heading home Ramsey's nod back across the box after more good work from Sanchez. It was a professional display from there on in from Arsenal, who recorded a first league win at Southampton since their unbeaten title-winning season of 2003/04. This victory may not mean as much as it did during the 'Invincibles' campaign, but it could have long-lasting ramifications for both Wenger and Arsenal as the Frenchman continues to contemplate whether to sign a new deal.